Westland John Innes No. 3 Mature Plant Compost. a loam based compost which is a naturally reduced peat mix, is a richer compost for re-potting or planting out mature plants. 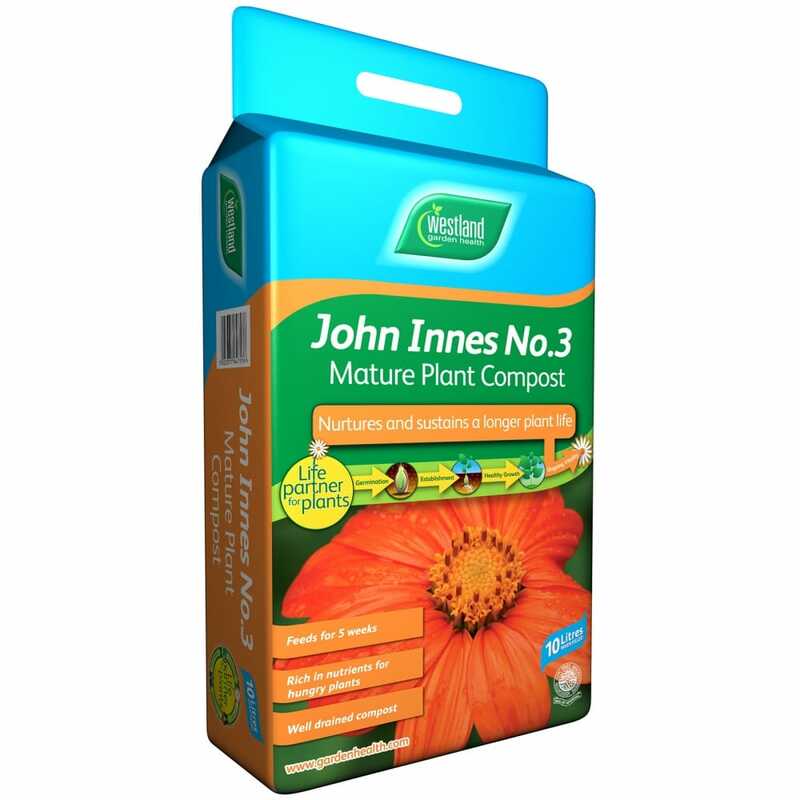 It is suitable for heavy feeding vegetables and flowering plants in hanging baskets, large troughs, planters and containers.